Retargeting isn’t a new concept in the digital marketing world, but that doesn’t mean it should be forgotten. In fact, retargeting has evolved a lot over the past few years, and new platforms and regular improvements to technology make it necessary to revisit this powerful technique. If you are unsure on how and where to use retargeting, or are looking for a refresher course, keep reading and see our 5 favorite retargeting techniques that we think all marketers should know, along with solid examples of how you should get started with each. Genius, right? Retargeting is so powerful because it is focused on users who have already shown an initial interest in your brand. Brands that do not capitalize on these users are missing out on a lot of potential sales. We know what you might be thinking- if a user shows up at my website and is interested, won’t they just purchase right away? The truth is- it just doesn’t happen that way. In fact, research shows that only 2% of people will make a purchase the first time they visit a store. Will some of the other 98% come back without you retargeting them? Sure. Will all of them? Not a chance. This is where retargeting comes in. Looking at step three of the retargeting process, you’ll notice there are various avenues through which you can retarget users. There are five platforms in particular that we are going to discuss: site retargeting, social media retargeting, video remarketing, remarketing lists for search ads, and web push notifications. Let’s get started. The first type of retargeting we are talking about is site retargeting. If you know anything about retargeting, you are aware of (or have at least heard of) this type. With this method, you retarget individuals with ads that show up on websites other than your own. You can choose to view site retargeting as a very general type of practice, but keep in mind that there are ways to personalize and contextualize your retargeted ads. For example, you don’t have to retarget everyone who visits your website all at once. This type of anonymous retargeting is very common (where everyone who visits any part of your site gets broadly retargeted), but is not necessarily the most effective. Consider grouping visitors together and retargeting them based on the area of your website that they visited. For people who have visited your blog, consider a retargeted ad promoting a new blog post of yours. Or, create ads about specific products and retarget users who have viewed those products in the past. ShopBop does personalized retargeting well, displaying the specific items users looked at in their retargeted ads. They also feature a discount in their ad, a tactic that helps boost conversion rates even higher. Additionally, you may choose to retarget based on the relevancy of other websites people visit. While retargeted ads can show up anywhere, the location doesn’t have to be random. 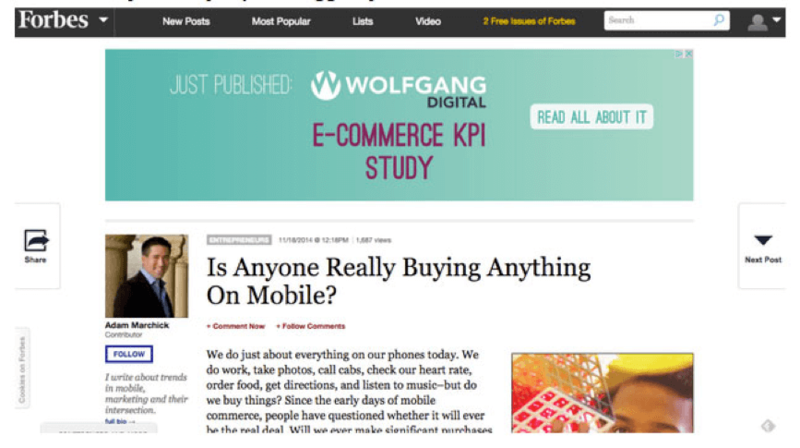 In this example, company Wolfgang Digital decided to retarget users and display their ads when a user was looking at related content. While the retargeting technique was simple (as in anyone who visited the website previously was retargeted), the context of where the ad was located was more complex. To get started with site retargeting, you need to choose a vendor that will display your retargeted ads. While there are several options to choose from, we will be discussing one of the more popular ad retargeting companies, AdRoll. Countless brands have made the decision to work with AdRoll because of their easy to use interface and advanced targeting options that will increase the effectiveness of your ads. Before getting started, AdRoll recommends that you have at least 500 monthly site visitors. If you have hit that mark, excellent. Having enough initial traffic helps give you enough people to actually retarget. The first step is to create an account with Adroll if you have not already. Once you create an account you can start telling Adroll a bit more about your company and what your business goals are with your retargeted ads. Ultimately, success with your ad is a conversion- but there are numerous conversion types. Be specific with what you are trying to accomplish with your retargeted ads- whether that is to boost sales, increase newsletter signups, or something else. 1. Install the AdRoll Pixel at your website. 2. Determine your budget. Typically, this is decided based on the amount of unique site visitors you get each month. More visitors equates to more money you can justify spending on retargeting. 3. Create your visuals: Consider creating different versions of one ad. AdRoll will test to see which performs better. 5. Confirm your key performance indicators (KPIs). Social media retargeting is largely the same as site retargeting, however in this case the location of the ads is restricted to social media platforms like Facebook, Twitter, and Instagram. These ads also largely follow a personalized retargeting technique, displaying products a user previously looked at, for example. The above image shows a retargeted carousel ad on Instagram. The item first displayed in the ad matches to the item the retargeted user was looking at. With a carousel ad you can display multiple images that a user can swipe between, which can be used to display related products. Because of the popularity of social media, this retargeting technique has become very popular. Depending on your industry, you can decide which platform (or platforms) will work best for you. If you are interested in retargeting with Facebook or Instagram, Adespresso is a great option for you. Created by Hootsuite, the popular social media scheduling tool, Adespresso makes it easy to create social media ads and track their performance. Their tools help you optimize your ads, even providing you with ad variations so that you don’t manually have to do so. With Facebook retargeting, you rely on what are called Facebook Custom Audiences. This is the audience that you will serve your ads to, and the audience is populated with people who have visited your website. Just as you added a pixel to your site for using AdRoll, you add a Facebook pixel to track users for targeting on social. 1. Add your Facebook Pixel to your website. Thankfully, Facebook has updated its pixel so that you only need one that will be able to track everything at your website. For help adding your pixel to your website, see Facebook’s detailed guide. 2. Set up your custom audiences. You can just create one large custom audience that includes everyone who has visited any part of your website, but you will have much more success by segmenting this audience. Group people who have visited a certain page at your website, who reads your blog, who have abandoned their cart, and more. 3. Exclude users who convert: Adespresso makes it easy to exclude users from your social remarketing campaigns once they have converted. Create a Custom Audience of people who have converted, and list this audience in your ‘exclude’ list when creating your ad. 4. Create your ad in Adespresso. Create an Adespresso account if you have not already. Once created, from your dashboard you can create a new campaign. Adespresso walks you through each step needed to create the perfect campaign. Give multiple options for headlines, copy, and images and Adespresso will combine them, giving you numerous ad options. 5. Set your audience: This is where you will select the Custom Audience that you set up in Facebook. This ensures that the ad will be targeted at users who have previously visited your website. Remember from Step 3 to exclude people who have already converted. 6. Establish your budget: If this is your first ad, start with a smaller budget and increase as you start getting some results. There is no right or wrong answer, it all largely depends on your marketing budget and how much emphasis you want to place on retargeting compared to other marketing ventures. 7. 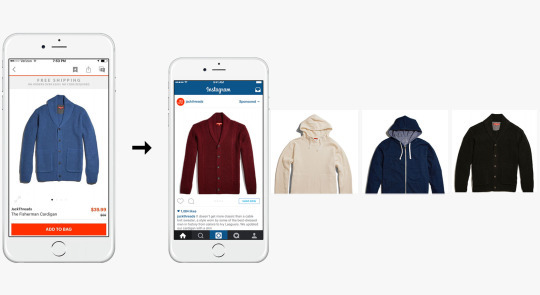 Instagram: If you want your retargeting campaign to run on Instagram, follow the same steps, but for placement you will select Instagram instead of your Facebook placement options. Ever spent an entire afternoon watching YouTube videos? It’s okay to say yes. We’ve all done it. With that in mind, video remarketing (or retargeting) is another retargeting technique you should heavily consider- but we will point out that this type of retargeting is not for everyone. Video remarketing deals specifically with your video content and actions that people have taken. This includes if they have watched a video of yours, subscribed to your channel, viewed your channel, liked a video of yours, and more. 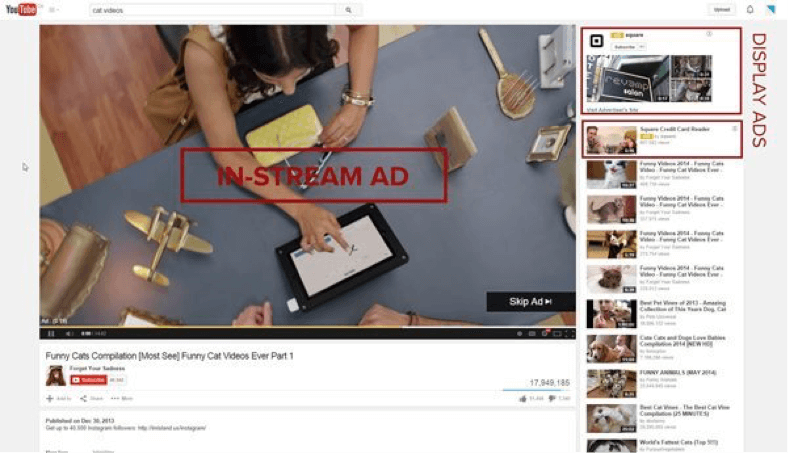 Not to point out the obvious, but if you do not have a YouTube account or do not produce video content, this type of retargeting is not for you (but is something you should consider as video marketing is incredibly popular). These video ads can be in the form of an actual video ad shown before a YouTube video, a banner ad displayed at the bottom of a video, or a display ad shown next to a video. The cost for these ads is very similar to CPC ads, where you pay only when a user clicks the ad (or in the case of the video ads, you pay if a user watches at least 30 seconds of the ad). There is tons of research on the positive impact of videos, including the fact that 64% of users are more likely to purchase a product after watching a video. If you regularly produce high quality visual content for your YouTube channel, this retargeting technique should definitely be tops on your list. Video remarketing can be handled in a few ways, but one of the more popular options is to handle it through Adwords, as Google handles both Adwords and YouTube. For this to work, you need to have both a YouTube account and an Adwords account. By linking these accounts together, you will be able to display retargeted ads to users as they watch other videos across YouTube. 1. Link your Youtube and Adwords account. You can do this either in Adwords or in YouTube. 2. Login to Adwords to create your campaign. Select to create a new campaign- and select Video Campaign. 3. After creating your campaign and establishing a budget, you can also decide where you want your ads to show. As you can see in the above image you can have your ads display in YouTube Search, YouTube Videos, and in the Google Display Network. 4. Establish your targeting. Because you have linked your YouTube channel, your remarketing lists will be available for you to choose from. Keep in mind you can choose several remarketing lists to create a more customized audience- perhaps people who have viewed a certain video of yours but have not yet subscribed to your channel. This next type of retargeting focuses on search, and is only available to those who use Google Adwords. This type of retargeting takes on users who have previously been to your website without converting, and are now searching again on Google. You can retarget these users with CPC ads in a couple of different ways. First, you can decide to bid on new keywords and display those ads only to those on your remarketing list. You may decide to bid on broader keywords that you typically wouldn’t bid on, for example. Another method involves increasing your CPC budget only for those ads displayed to individuals on your remarketing list. By increasing your bid, you are increasing your chance that your ad will be displayed higher up on the search results page. Because these users have shown interest previously in your website, meaning they have a greater likelihood of converting, it makes sense to invest more money in these ads. Google Adwords will also handle your search remarketing. Either login or create your Google Adwords account to get started. 1. First, you need to make sure your website is set up for retargeting. You will need to add your remarketing tag code to your website. Visit Google’s guide for help setting this up properly. 2. Create a new ‘Search Network only’ campaign, or click on an existing one if you have it. Click the Audience tab to start setting up your targeting. 3. You can either select ‘Add campaign targeting’ or ‘Add ad group targeting’ and from there you will select Interests and remarketing. Keep in mind you can only add targeting to one level- either the campaign level or the ad group level. 4. Next, confirm the targeting settings you want- you can either bid only or you can target and bid. Bid only will show your ads both to people on your remarketing list and those not on it- but you can set a different bid for those on your remarketing list. For target and bid- the ad will only display to those on your remarketing list. Finally, what retargeting article would be complete without mentioning web push notifications? Web push notifications offer great retargeting possibilities, and are so easy to set up. Not only are web push notifications easy for users to set up, it is also easy on your end to set up campaigns based on retargeting. Once a user agrees to be sent your push notifications, you can retarget them based on just about anything. Did a user visit your site and never return? Retarget them. Put items in their cart but not purchase? Retarget them. Sign up for your newsletter and never return to your website? Retarget them. You get the idea. Instead of visitors seeing ads on other websites you actually have the ability to send them an instant push notification which, when clicked, drives them back to your site. Web push notifications are centered around this idea of retargeting and are one of the most highly effective ways to engage and retarget visitors to your website. It’s true, getting started with Aimtell is incredibly quick and easy. Once you create your account (all users start with a free 14 day trial), you will navigate to your dashboard where you will manage all of your campaigns and view your analytics. 1. Head to your dashboard. 3. 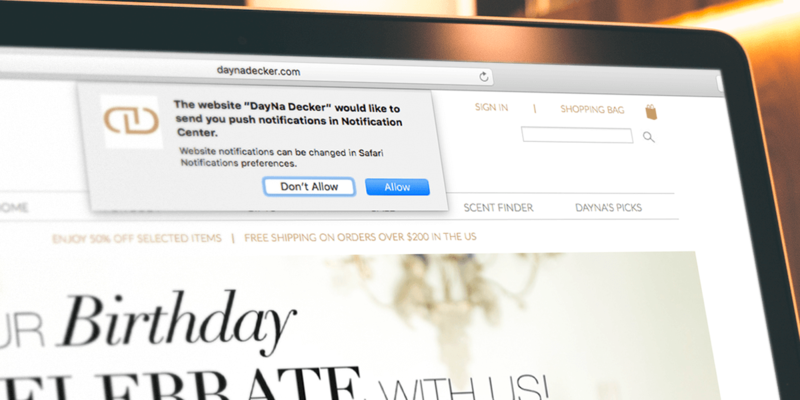 Once your website is added, your site will automatically start displaying opt-in prompts to users who visit your website. Once a user hits allow, they are added as a subscriber. You can read our documentation for more info about opt-in prompts, including how you can customize them and how to control your prompt management. 5. To create your campaign, first input the content for your message, including your title, message, and destination URL. Include a custom icon and a large image as well if you want (more information can be found about large images here and here). 6. Next, select ‘Recipients’ to determine who your notification will go to. You can send a message to all of your subscribers, or you can select individual segments (which we highly recommend). To learn more about segments, click here. 7. Schedule your notification. Not only can you decide when to send your initial notification, you can determine how frequently the notification should repeat. Choose to repeat your notification daily, weekly, or monthly. You’ve reached the end! We hope you’ve learned lots of valuable info about how retargeting works and feel confident getting started using any one of these platforms. Retargeting has been and continues to be one of the best marketing strategies that brands of all sizes and from all industries can take advantage of. Hopefully, your brand will soon be one of them. Do you have a favorite retargeting method? Is there one we forgot to mention? Let us know! Comment below or send us an email. To start your free trial of Aimtell, click here. Tags: digital marketing, ecommerce, retargeting, web push notifications.